University of Buea Cameroon Programs Available for Admission. University of Buea Cameroon Programs. 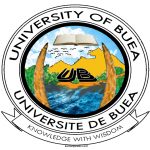 AND QUALITY UNIVERSITY OF BUEA. Advanced School of Translators and Interpreters – ASTI. Agriculture and Veterinary Medicine – FAVM. Professional M.Sc in Fisheries and Animal Production. B.A. in Literatures in English. Ph.D French Language and Linguistics. Please how many points and papers are required to study public administration, political science and history.?? Please need urgent help order for me to know where to apply with my new just gotten “A”level results. Greetings. I wish to pursue a PhD in Project Management. I hold a Masters Degree in Project management from Rome Business School and a Bachelors Degree in Environmental Science from the University of Buea. I wish to know whether the department of of project management in UB is welcoming PhD applications for the 2018/2019 academic year. Would the PhD at law be launched this year? pls it is urgent… i just had my a-level in bio, phy and math, 3points.. i want to do biology in the university of buea.. would it be possible? pls? Am a Nigerian I want to apply for my masters degree in French in the university of Buea, how will I do it? And what are the requirements? Am called Wiysenyuy Larissa.I just had my Advanced levels in 3 papers with 4points.I wish to do Journalism in the institution of academic excellence , the University Of Buea.Please i hope to hear from you soon. I am a bachelor degree holder from National Polytechnic Bamenda and wants to do a professional masters in medical microbiology and parasitology. plss what are my chances to succeed and how do I go about with the registration process.